If you can't decide between chocolate or flowers, why not send both?! This is the perfect gift to send to show her that she's the sweet center of your universe! 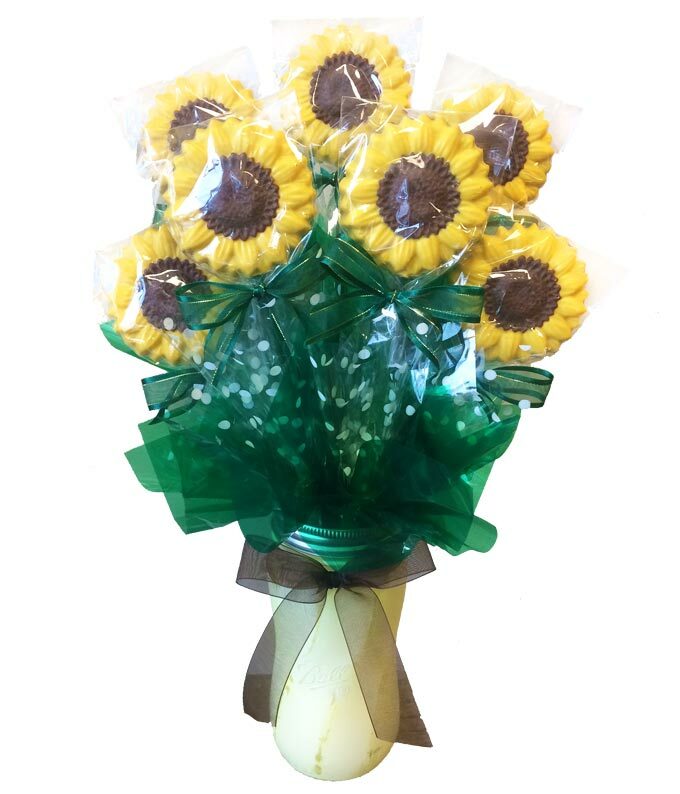 Sunflowers molded from premium chocolate and hand-painted into edible sunflower designs.